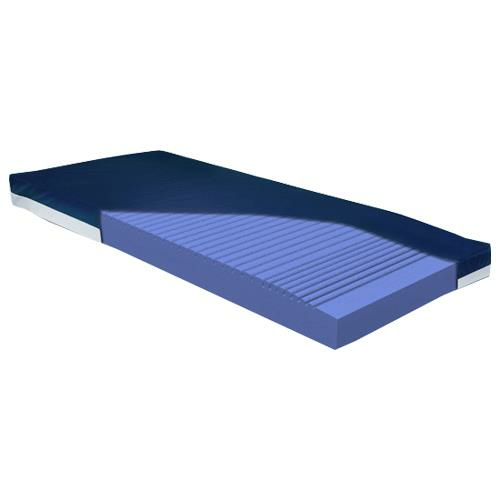 Span America Geo-Mattress Pro Pressure Redistribution Therapeutic Foam Mattress is primarily used for prevention of skin breakdown. Its single layer, zoned construction delivers excellent value for budget-conscious facilities. The Ring-of-Air design helps to disperse heat and moisture away from skin into atmosphere while the heel slope distributes pressure over lower leg, reducing pressure on the vulnerable heel.